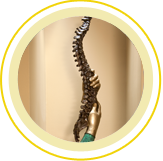 Spine & Scoliosis Specialists was founded as Greensboro Spine and Scoliosis Center in 2007 by Max W. Cohen, MD, FAAOS, the only specialist with double fellowship training in spine and scoliosis treatment in the Piedmont Triad region of North Carolina. Dr. Cohen’s goal was to create a medical practice focused solely on the needs of spine patients, providing them with state-of-the-art care delivered in a caring and compassionate manner, designed to relieve their pain and improve their quality of life. It was a bold idea – there were no other medical practices in the area focused solely on the spine in 2007, and there are none still – but Dr. Cohen was convinced that patients with complex spine disorders would benefit from a specialty focus. His vision proved accurate. Since its founding, the office has developed a reputation regionally and nationally for excellence, drawing patients from as far away as California. Two years after opening, the practice had already outgrown its original office. We relocated in 2009 to a newly-constructed, larger office and changed our name to Spine & Scoliosis Specialists to reflect the larger geographic area we now serve. With the arrival of Thomas Saullo, MD in 2011, we added another dimension to our services – advanced specialist care in nonsurgical treatment, physical medicine and rehabilitation. Dr. Saullo is a board-certified physiatrist, with fellowship training in interventional spine treatment, who trained and worked as a physical therapist before becoming a medical doctor. 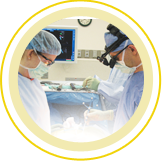 Dr. Saullo works closely with our surgeons, allowing patients to benefit from multidisciplinary spine care. As a physiatrist, he takes a whole-body approach to diagnosis, treatment and rehabilitation of patients with spine problems. In 2013, Ruben Torrealba, MD, joined our practice. Dr. Torrealba is a board-eligible orthopaedic spine surgeon who completed a fellowship in the latest minimally invasive spine surgery techniques at Twin Cities Spine Center in Minneapolis, MN, one of the largest spine centers in the world. Fluent in both Spanish and English, Dr. Torrealba enjoys working closely with our patients to ensure that they understand their spinal injuries and conditions. The continued growth of our practice led us to expand in 2013, with the opening of a second office. Our new High Point office, which opened in December 2013, gives us an opportunity to provide care more conveniently for the growing number of patients in the High Point area who see our physicians. The new office, located at 4590 Premier Drive, offers area patients an opportunity to receive complete care, including diagnosis, imaging and physical therapy if needed, in High Point. Although our practice has grown significantly over the years, Dr. Cohen’s mission remains the same as the day he founded the office: providing advanced spinal care to relieve patients’ pain and to improve their appearance, mobility and quality of life.